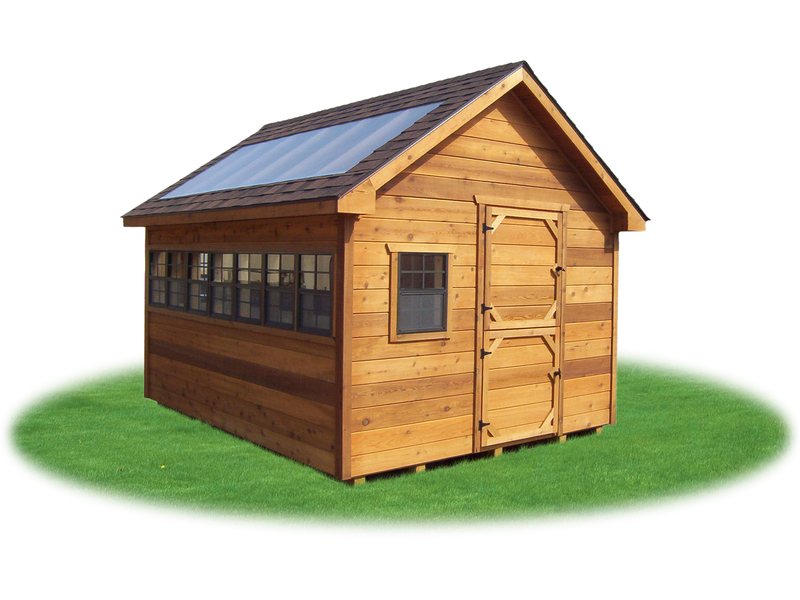 Now you can have a garden house of your own, right in your backyard! 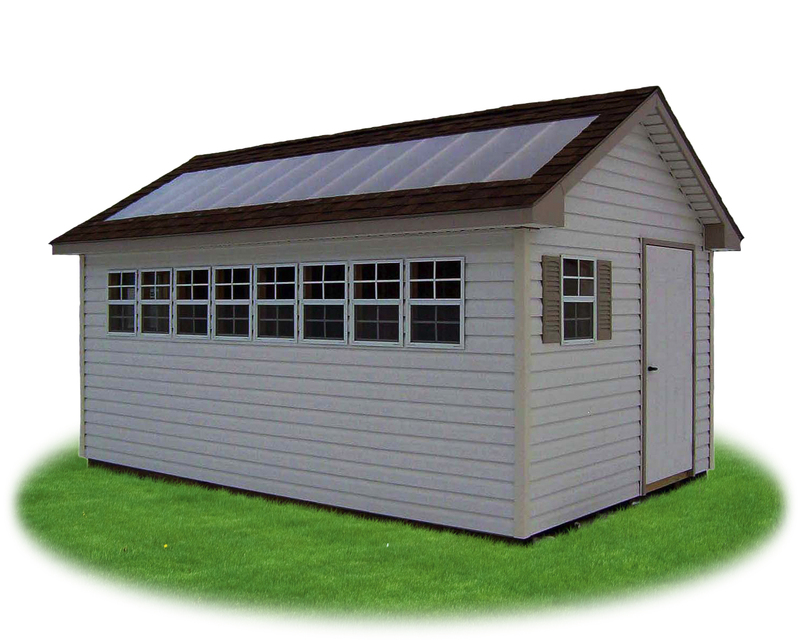 No more messing up the garage or the basement. 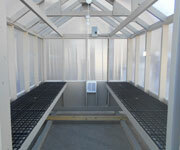 We've been listening and are happy to now provide a beautiful greenhouse structure for our customers! 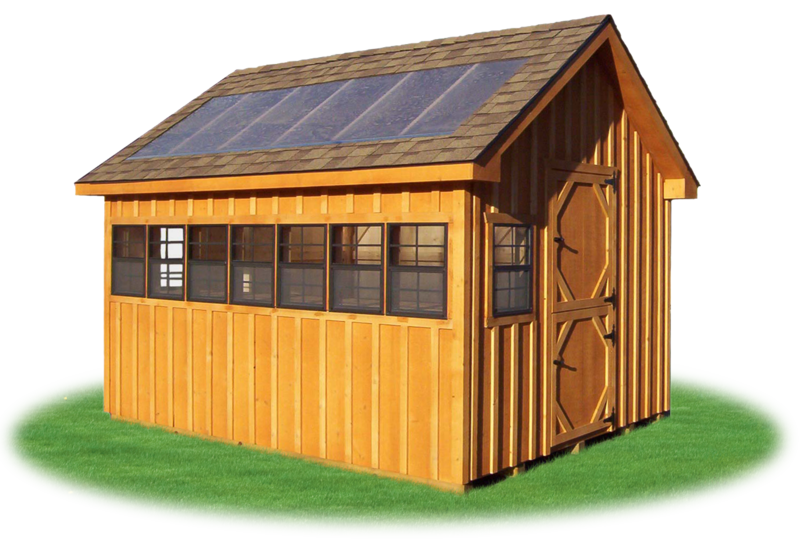 Choose from one of two standard sizes: 8' x 12' or 6' x 8'. 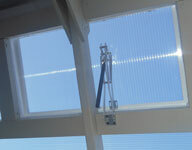 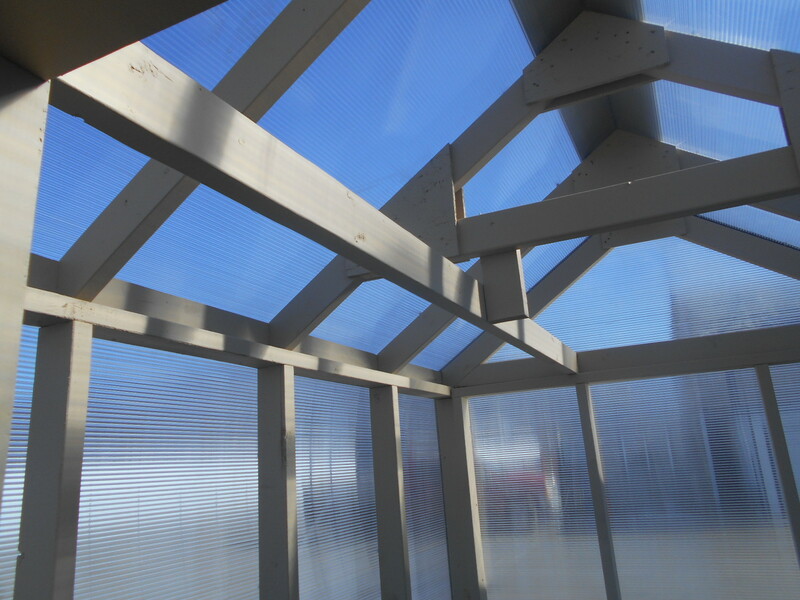 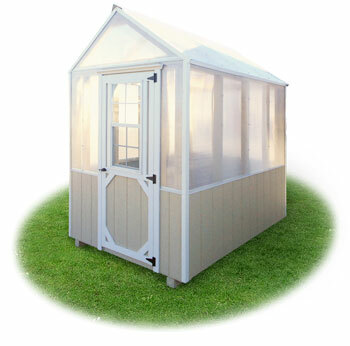 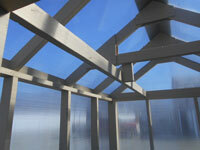 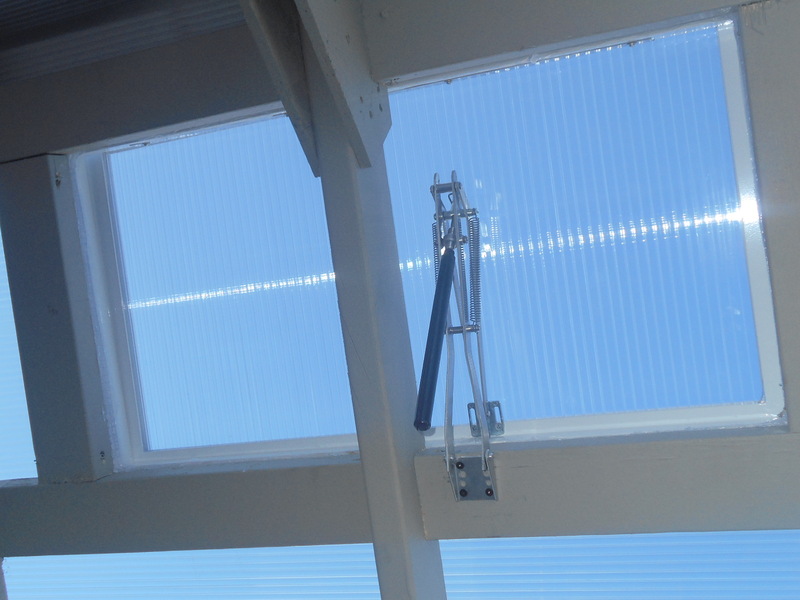 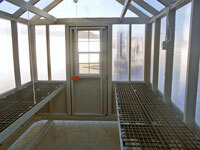 Our greenhouses feature solid construction including 2x4 framework and an 8mm clear twinwall polycarbonate. 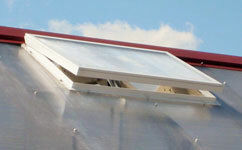 The 24" wide shelves offer plenty of space for plants and over each shelf is a 2x4 for hanging baskets. 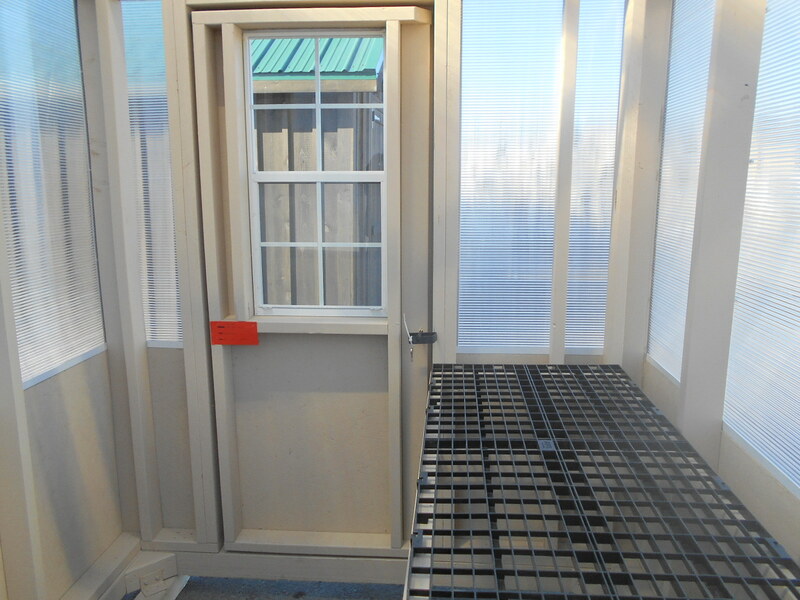 A window is built into the door, providing fresh air. 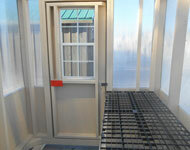 Includes two 24"x12' plastic shelves, 2x4 above each shelf for hanging baskets, and one door with 18"x36" window. 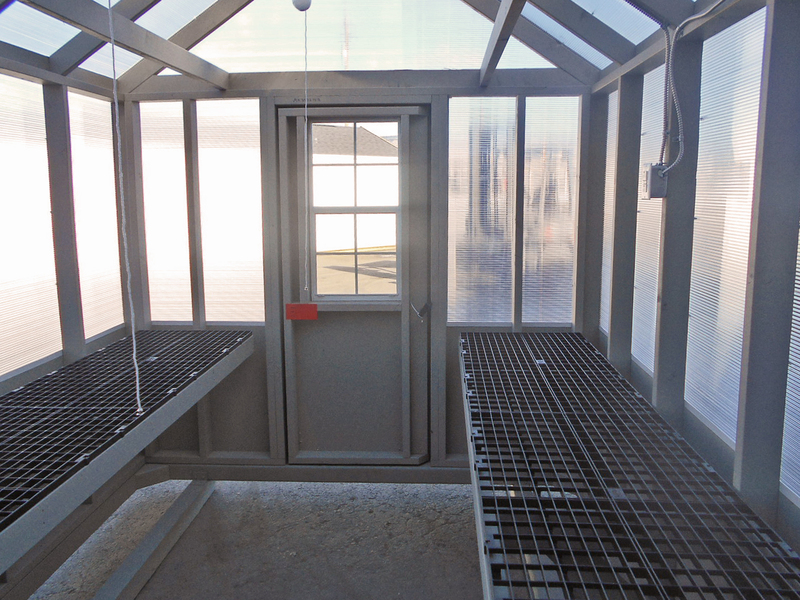 Options shown: Greenhouse/high tunnel vent an electrical package (two receptacles, two lights, heater). 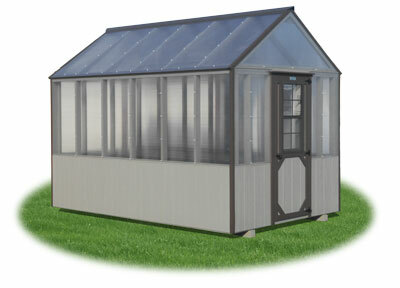 Includes one 24"x8' plastic shelf, 2x4 above shelf for hanging baskets, and one door with 18"x36" window. 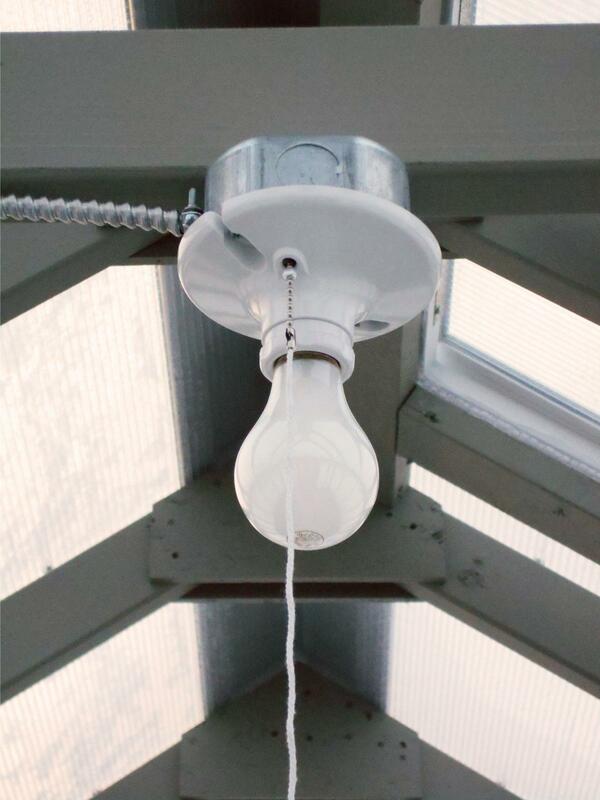 The optional electrical packages inside our greenhouses include a 1500 watt heater, 1-2 pull string lights, and 1-2 GFCI receptacles. 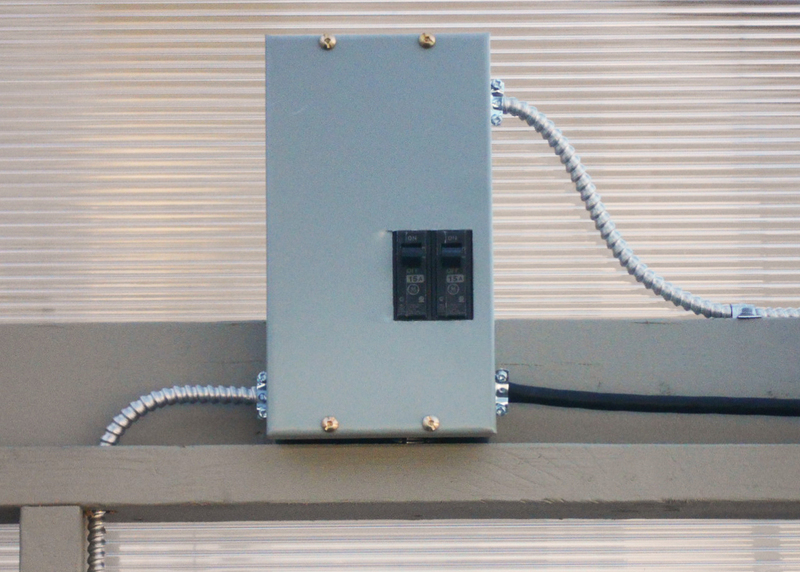 We recommend using a 30 amp generator cord (available at your local hardware store) to supply power to your greenhouse. 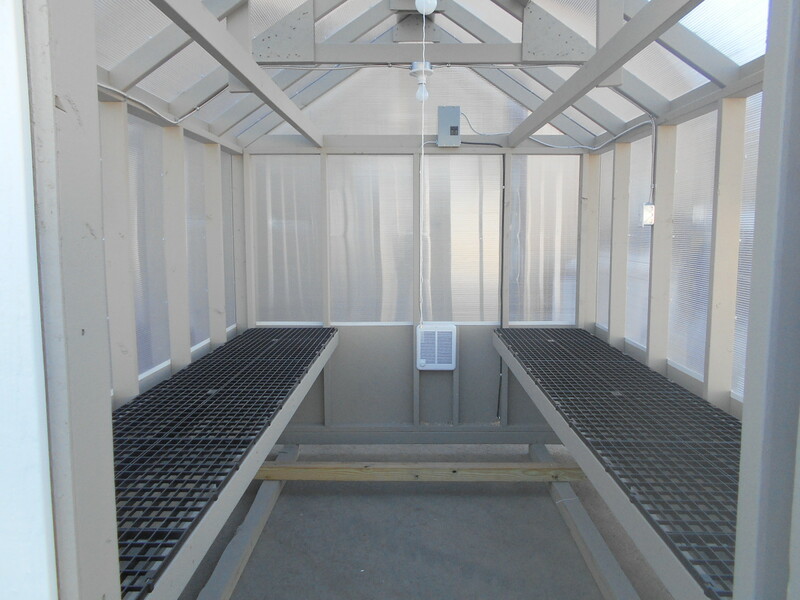 As an additional option, we also offer a greenhouse/high tunnel vent to achieve the maximum ventilation possible on hot and humid days. 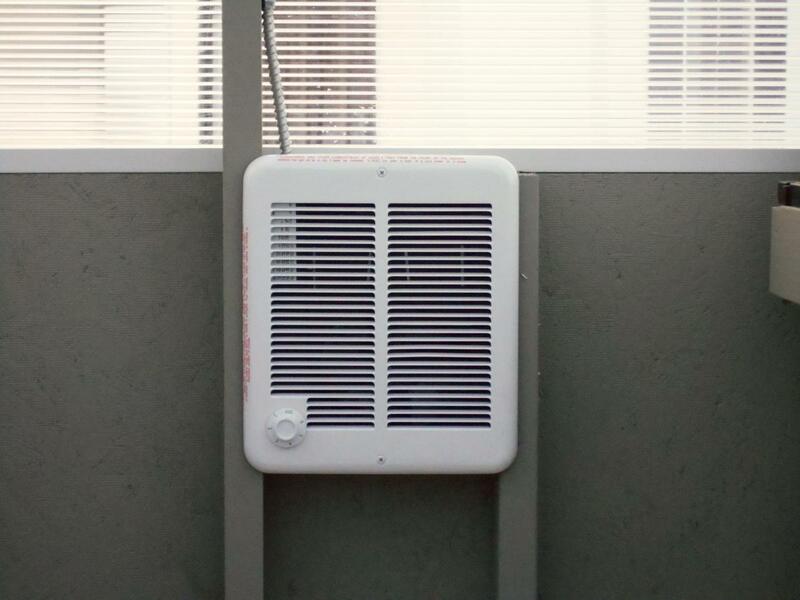 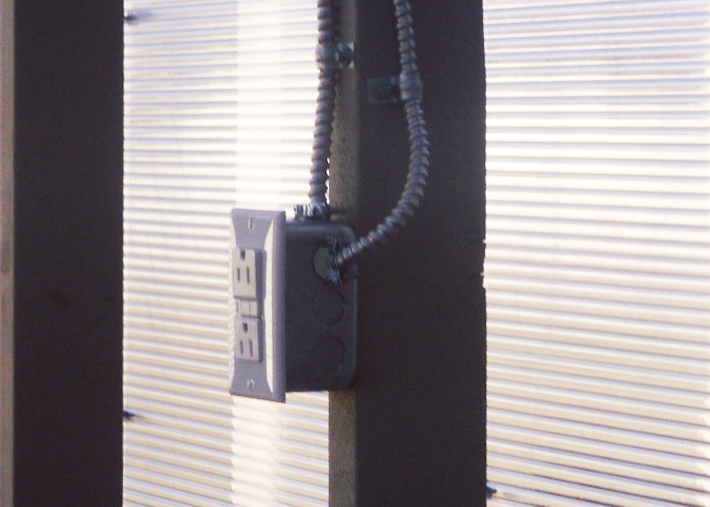 This vent opens and closes automatically according to your preset temperature range. 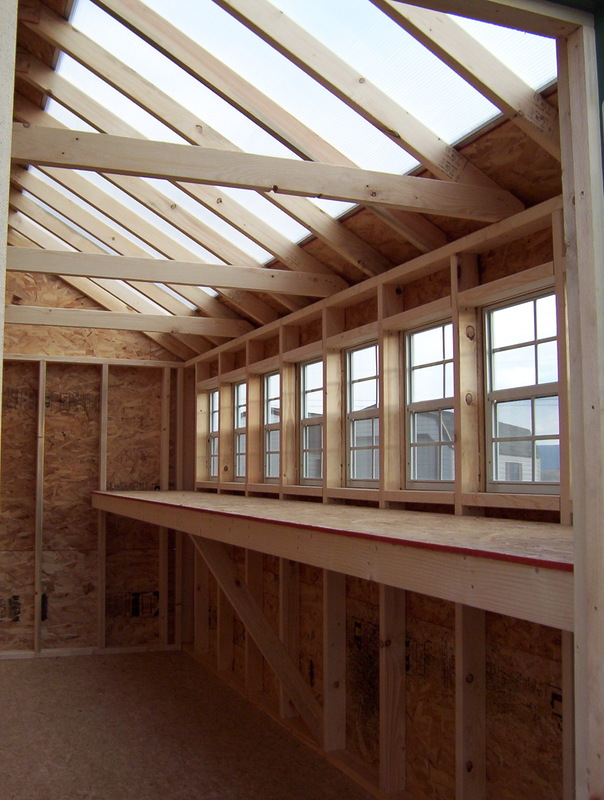 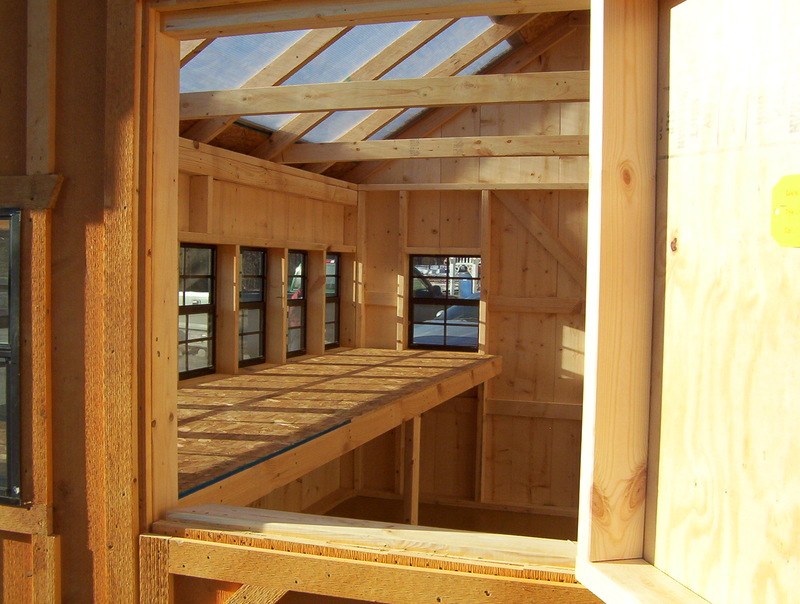 Our Arlington Garden House features a 4' skylight in the whole length of the roof, a row of windows running the whole length of the building, and a workbench positioned under the skylight and windows. 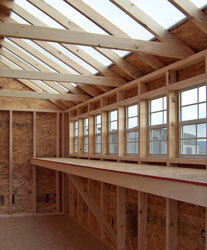 There's also a window in each gable end. 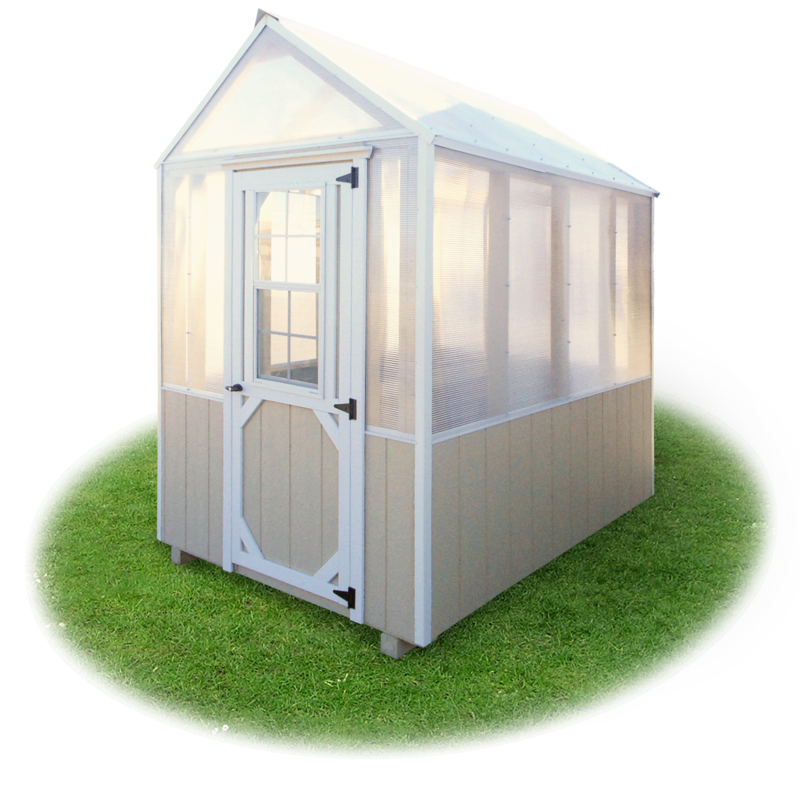 You will have a ton of natural light and warmth from the sun's rays, protecting your plants from those chilling early spring breezes. 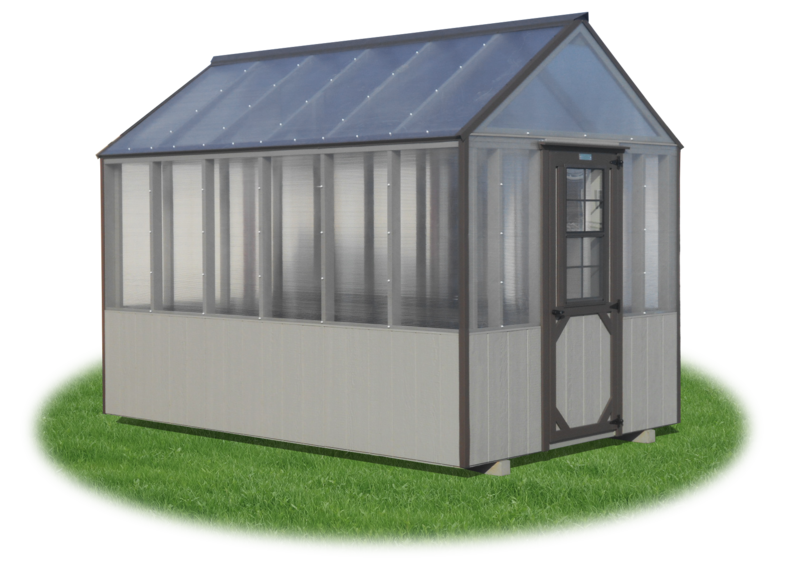 LP Smart Sided models also feature a split dutch door in the gable end of your choice. 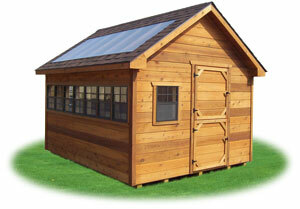 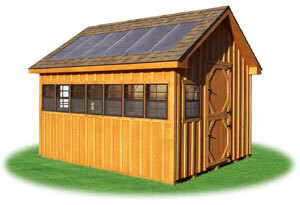 Our Arlington Garden Houses come with our 6-Year Top-To-Bottom Warranty. 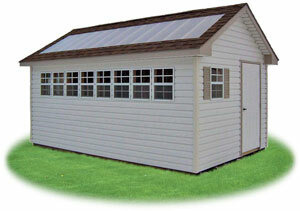 Available in 6 standard sizes ranging from 8' x 10' through 10' x 20'. 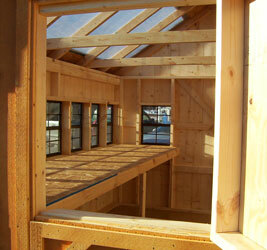 Shown with board 'n' batten siding.